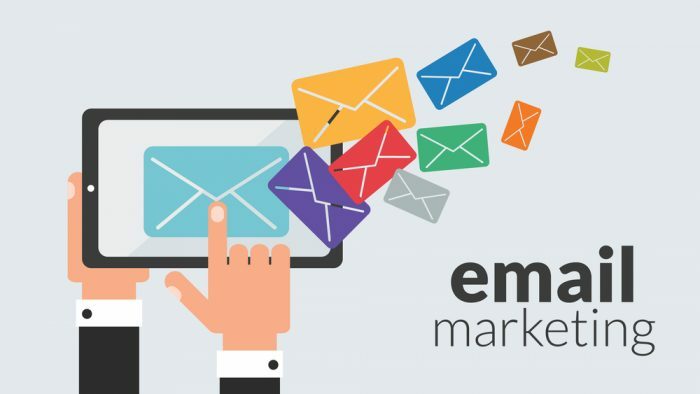 You may think that email content marketing is an outdated strategy because of its association with the unwanted SPAM that was so prevalent in the early days of the internet. There is absolutely no denying that those early SPAM days did taint email as a digital marketing strategy. However, there is also absolutely no denying that email remains one of the best ways to remind interested customers about relevant service and products. The key is knowing how to create emails that interest your customers without irritating or annoying them. Doing so requires a great combination of timing and relevant content. At Writers Needed, we can create the content that your customers want to see. Email content is any content you send in email format to a list of potential customers. Great email content has something to offer the customer. It can be information about an upcoming product release, a service special, a product coupon, or perhaps even a timely how-to. The job of the email content is to remind your customer about your business, while still providing something of value to your customer. Where Do I Get an Email List? Different businesses develop their lists in different ways. Many lists are compiled of existing customers, but you can also target potential customers. Some digital advertising methods ask customers to provide information for contact; this ensures that recipients are interested in receiving information about your products and services. You can also purchase lists for distribution of your content. When done poorly, this is basically SPAM. When handled well, it can be a very successful tool. What Is the Email Content Process? We work with you to give you high-quality content that you can deliver to your customers. WE need the basic information from you about what you want to do. Are you offering 10% off of new purchase, free shipping, an extended warranty, a how-to guide, etc.? Once we have the information about what type of content you want prepared for your email, we custom create content that is easy to read, catchy, and conveys your message to your customers. The content may have a gentle push towards sales or the content itself may be the push. The goal is to remind customers about your business and give them a reason to use it. Think of your own email inbox. You probably have email content marketing materials in it right now. Do you check your email for coupons when you visit your favorite store? Ever look at your emails for recipes or seasonal how-to’s? How about service reminders and specials for service providers like your mechanic, pest control company, or HVAC professional? Those are all examples of successful email content campaigns. What makes them successful depends on what type of good or service is being marketed, which is why we tailor all of your email content keeping two things in mind: your potential customers and your products and services. At Writer’s Needed, we work with you and the rest of your marketing team to create email content that carries your brand to your customers. While our writers focus on creating content, they work with our in-house marketing experts, who give them information about the direction the content should take. This direction is shaped by your input. Email content may seem a little old school, but it is a proven way to get valuable information to your customers and potential customers. Contact Writers Needed today to find out how we can provide you with the content you need to ensure a successful email marketing campaign.